What Do You Wish to Leave Behind? What Do You Wish for 2012? This past weekend I joined Ashley Parsons of Sugarbum Designs, Julia Cross of Tender Thorn Productions, and a number of other Ottawa creatives at the Super Fabulous Sale, a local artisan fair. It was a lovely opportunity to meet Ottawans one-on-one and to talk about coaching. I had a quick little brainstorm with Cynthia, and she threw her creative talents into a cross-country collaboration with me to produce the Ready for Change coaching booth. I wanted each person I spoke with to get a taste of what working with a life coach might get them thinking about, so – with Cynthia’s help, and Yoko Ono’s – I came up with the idea you see in the picture. As people got curious about what was going on at my table, I handed them a marker and a paper heart and asked them to write down one thing they were ready to leave behind in 2011. 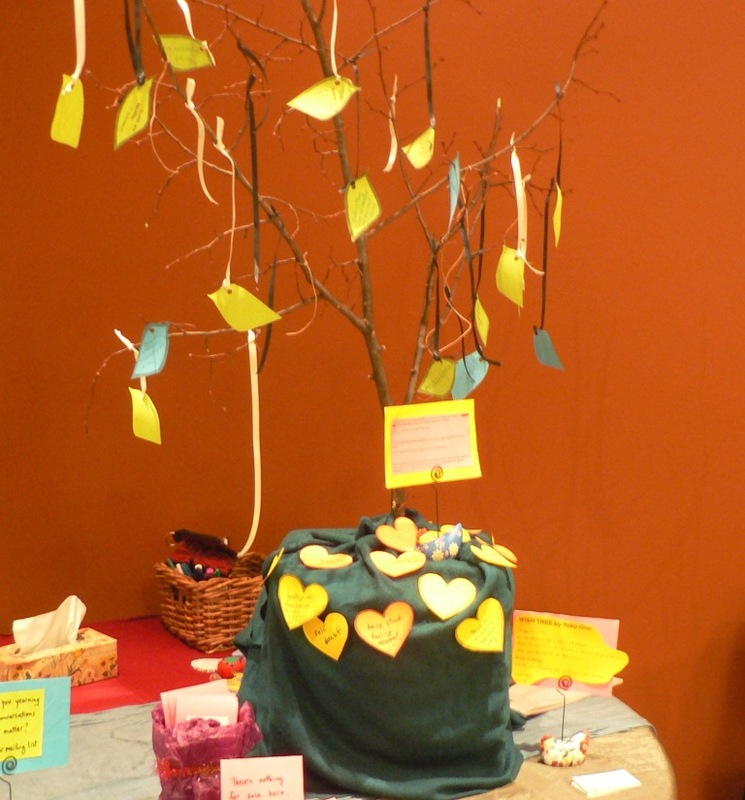 I was moved by people’s honesty, and their readiness to name what they wanted to leave behind: “worry” came up a number of times; a few people wrote “self-doubt”; someone listed “being stuck and resentful.” I asked them to leave their heart at the bottom of the wishing tree. 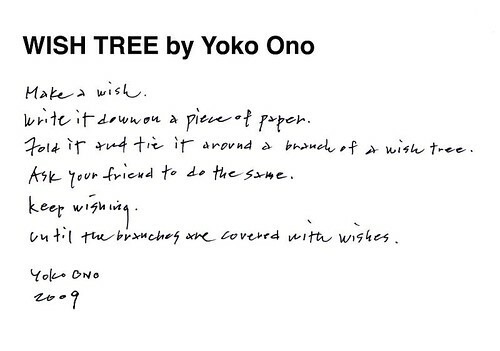 Once they’d written their wish, I invited them to tie their wish leaf onto the wishing tree. By the end of the day, all of these coach-y questions (“What do you wish to leave behind? What do you wish for the future?”) had yielded a beautiful, blooming tree of hope. What are you ready to leave behind as 2011 comes to a close? What are you wishing for 2012? Last week I came face to face with my animus, shadow, and wise old woman thanks to one of my colleagues at the Transpersonal Therapy Centre, who led our class through a series of art exercises inspired by Jungian psychology. My animus emerged as a guttural caveman, eager to go out and spear a boar and then come grunting home to the cave. My shadow image–an evil, silent, laughing clown–still makes me screw up my mouth in discomfort. And my wise old woman glowed with calm, presence, and beauty, sending the blessing “Peace Be Upon You” to all she met. What to make of all this, and what part might be useful for you, dear internet surfer? As I understand Jung, I need to understand and incorporate my animus (my inner masculine side). I’ll need to do some work to find out where I see this fierce, inarticulate provider/caveman come out, and understand how I can draw on that as a positive energy. If you are a woman, what traditionally masculine qualities do you notice inside you? If you are a man, what traditionally feminine qualities can you find in yourself? For both, what about those qualities could be of service to you at this point in your life? I need to examine my shadow to find the hidden parts of myself that I disown. As I learn to accept these uncomfortable parts of myself, the shadow will lose its power over me and I’ll even be able to find the gift that (Jung says) resides in the shadow. Perhaps this means owning up to an evil silent part of me that laughs at others, although right now I can’t fathom the gift in that particular shadow. Here’s a question that might point you toward your shadow -> imagine the most annoying person at a cocktail party, the person you are going out of your way to avoid, the person you most definitely do not want to talk to. Got a person in mind? Write down five adjectives about that person. Ask these questions separately for each of the five adjectives that you came up with. The Wise Old Woman is the image of Self that I am moving toward. Sometimes this peaceful, blissful, blessing-generous being seems very distant to me; other times I can sense her, right here, just beyond the veil, waiting for me to step into her comfortable–yet stylish–shoes. Who and what are you when you are at your best? Where in your body can you feel/sense your ‘wise voice’, your ‘inner wisdom’? What do you need to raise the volume on that voice? Finally, one tool I’ve found helpful for getting in touch with my own personal wise woman is the Future Self journey I learned at The Coaches Training Institute. If you’ve never experienced the Future Self journey, drop me a line to book an appointment, and we’ll travel there together. 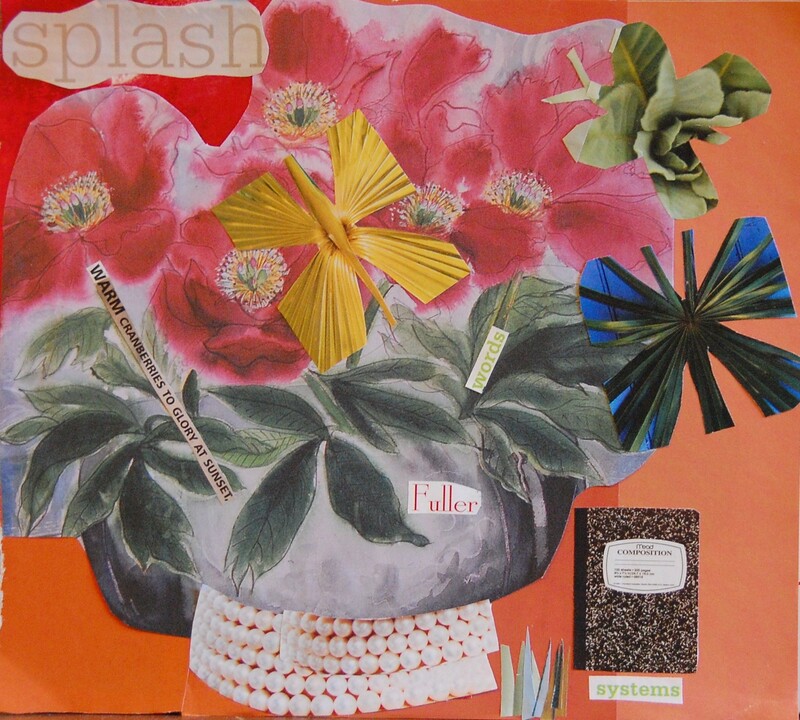 I sat in on a Picture Your Passion teleclass this week. Jamie suggested a simple, simple way to test out visioning: Get off this call, she said, and go find a picture of something you want to bring into your life. Find a picture, write the word on it, put it in your wallet, and carry it around with you all month. And see what you notice. All right, I thought, I’ll give it a shot. I found pictures that represented things I’m wanting in my life right now: love, beauty, passion, and money. And watch for what you notice, she said. Here’s what I noticed: I’m distinctly uncomfortable with those pictures. I look at the passion and beauty one, and my Puritan upbringing rings scripture in my head: let’s not be caught up in the outward adornment, nor the showy things, nor the external. I’m noticing that there’s a lot of just-below-conscious messages in my head that are probably directing me away, rather than toward, love-money-passion-beauty. So when Jamie asks today, “What luxury do you wish for?”, I’m going for the luxury of being comfortable with all of those pictures and all of what they represent. The luxury of believing that love and wealth and beauty and passion can be and will be – and already are – a part of my life. Now fully recovered from the Party of Possibility‘s wine, colourful sharpies, balloons, cookies, breathtaking ideas, and laughter, here are some of the lessons I learned when I gathered together the people who know me best and asked them to help me dream about my potential impact in the world. It’s amazing how often I limit what I wish for. As if I’m scared to ask for what I really want, or believe that it would be selfish to ask for it. But what I’ve learned is that if I’m asked, “What would I want if I was really, really greedy?”, three things happen: 1 – I become better attuned to what I truly desire, and how to express it; 2 – I discover that what I truly want isn’t selfish or thoughtless, but often involves the wellbeing and happiness of others; 3 – that when I express what I really, really want, it has a habit of happening. Ask to have your breath taken away. After two hours of wine and discussion, I asked everyone to write down something provocative and something breathtaking. Much like asking myself what I would want if I was greedy, asking other people to suggest the provocative and breathtaking provided some of the best ideas, questions, and advice for me to ponder. The provocative and breathtaking, surprisingly, seems within reach when I look it straight in the eye. And sometimes, I think, people need permission to be provocative and breathtaking before they’ll say something that they’ve been thinking all along but never had the opportunity to bring into the conversation. We closed the evening with everyone sharing the newspaper headline they dream of reading about me sometime in the future. 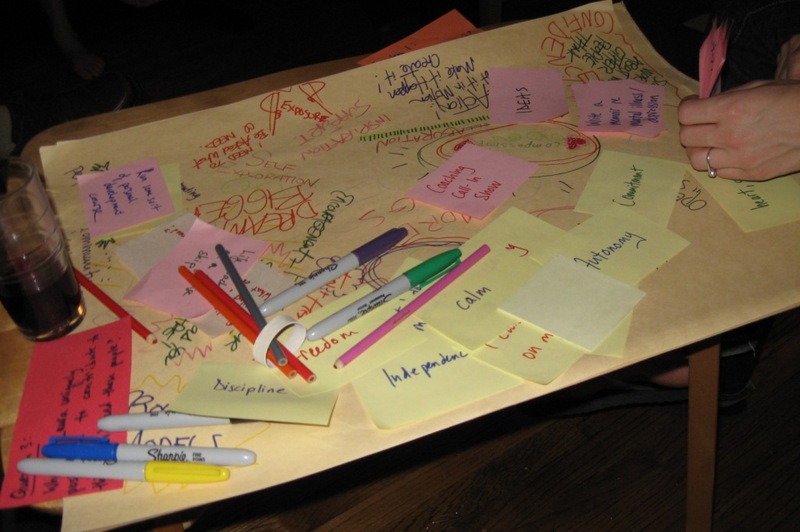 Each person wrote just a few words that captured the bigness and possibility of the ideas. It was a simple way to cut through to the essence. I’ve talked to a lot of people who have spent years absently wondering what “anything” is, but never getting around to answering the question. We’re busy, and it’s hard to set aside the time we think it’s going to take to figure out Something Big, like what we’re going to do with our life, and what our impact on the world is going to be. I’m in love with this question this week: what’s my impact on the world? Rather than dodging the question, or assuming I’ll get around to it someday, I’m embracing it head on! I’ve invited a handful of people who know me well, representing many areas of my life, to join me this Thursday for a party of possibility, a collaborative brainstorm session to put together what all of us collectively know about me and my potential impact on the world. I’m full of excitement for the evening – and terrified at putting myself out there as the topic for strategic planning. And overwhelmed with gratitude to the people who are willing to explore this with me. Do you know what your impact on the world is going to be? Post it in the comments! Do you know a good way to figure out your life impact? Post that too! Maybe you want to join us on Thursday? Email me. Maybe you want to tell me what you know about the impact I should have – share your wisdom. Or maybe you’re hoping I can help you plan your very own Party of Possibility? I sure can. Get in touch. You know all that stuff about affirmations? About how if you tell yourself that you are successful, have your dream job, will fall madly in love, make lots of money, find that perfect house or apartment, have your soufflé turn out . . . if you keep telling yourself that all those things are reality, then they will become reality? I’m never sure if I believe it or not. Sometimes I tell myself things repeatedly, hoping they’ll come true, but I usually feel a little bit silly when I try it. This week I stumbled on a way that I could express, un-self-consciously, the future that I want to make reality. I imagined my ideal week in my ideal life, and I started a Word doc in which I wrote the Twitter updates my ideal self would write as she went about her week. It was a super fun exercise (if you try it, I’d love to hear how it goes! ), and I actually learned a lot doing it. I learned that my ideal self meditates, does a lot of yoga, drinks a lot of red wine, hosts a radio show, coaches, writes, sets aside a corner of her house just for writing, and loves to spend an hour at sunset sitting on the porch reading a book. I also noticed that, despite her frequent twittering, she spends a lot less time online than I do now. The big learning I took from this exercise was to realize how many of those “ideal” things are accessible to me right now. Even if I don’t host a radio show (yet! ), I’m perfectly capable of going to a yoga class, spending sunset on my porch (once it warms up), coaching, writing, and restricting my online time. Funny, I can access a lot of my ideal self right now – which means that I’m going to go have a glass of red wine. What’s your ideal self doing?